Native Americans attend from across country. More than 100 people showed up at the 20th annual United San Antonio Pow Wow Feb. 17 at Mission County Park No. 1 to experience and learn about Native American heritage. Dr. Lee Eagleboy Walters of the Blackfeet Nation of Northwest Montana said when tribes come together in the spring, they talk about newborn babies, people who died and what the tribe is up to, and they bring plenty of food. Walters, powwow arena director, said he was excited to be here for the event. Walters said he was 4 years old when he started taking part in powwows. Powwow is a Native American ceremony involving feasting, singing and dancing. Juan Soliz Garcia, secretary of the Lipan Apache Tribe of Texas, and his cousin Hector Soliz came from McAllen. Garcia said he wants people to know Native Americans are not bloodthirsty savages; he encourages mainstream Americans to learn more about Native American heritage. The Lipan Apaches began the ceremony with the Gourd Dance. According to the article “The Kiowa began ‘Gourd Dance’” by Dennis W. Zotigh at zotigh.com, the Gourd Dance originated among the Kiowa Indians in the 1700s. A Kiowa warrior, weak and separated from his camp, learned the dance from a red wolf, which stood on its hind legs and danced. After each song, the wolf let out a strong howl. When the warrior regained strength, the wolf instructed him to take the song and dance back to his people as a gift. At the end of each dance, the participants let out a howl to recognize the red wolf that gave the Kiowas the dance. Madison Banda, 12, who has been dancing in the powwow since she was 1 year old, did the Jingle Dress Dance. 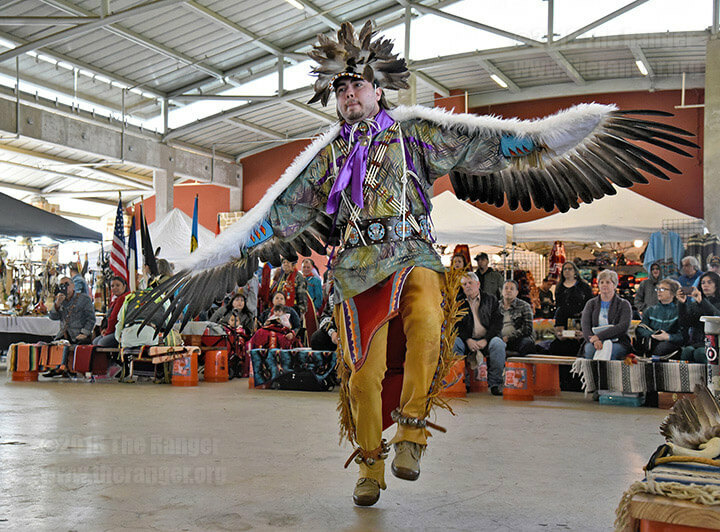 The Jingle Dress Dance is a prayer dance, according to the article; “Origins of the Jingle Dress Dance” from indiancountrymedianetwork.com. The dance came from a young woman named Maggie White who was sick with no signs of recovering. Maggie’s father received a vision of a dress and dance in a dream. When he made the dress and put his daughter in it, he instructed her to perform the dance, which cured her. Though the event was festive, Soliz remembered the sad events of history. “The biggest genocide in history did not happen in Nazi Germany, but it happened on American soil,” Soliz said. 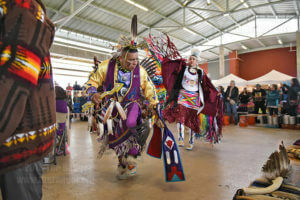 Call Erwin De Luna, president of the United San Antonio Pow Wow, at 210-736-3702 or visit unitedsanantoniopowwow.org.